1. Antibiotics are medicines taken to prevent and treat infections caused by bacteria. 2. Antibiotics should be taken for the entire prescription – and NOT stop in between when the patient feels better. 3. 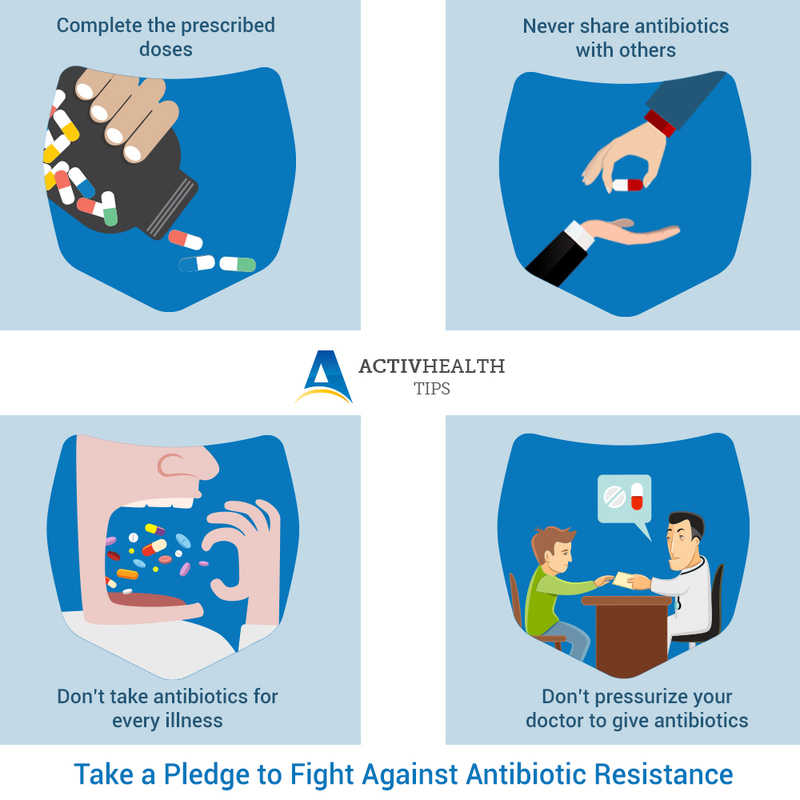 To prevent antibiotic resistance, do NOT use antibiotic without a doctor’s prescription. Do NOT buy over the counter antibiotic medicine or pressurize your doctor to prescribe antibiotics. 4. DoNOTuse antibiotics for viruses like colds or flu, antibiotics donot work on them. If you take antibiotics in virus caused diseases, then it does more harm than good. Using antibiotics when it is not required or not using them as prescribed can add to antibiotic resistance. Antibiotic resistance can also cause infection that cannot be cured by certain antibiotics, which demands for a use of stronger and more expensive medications.